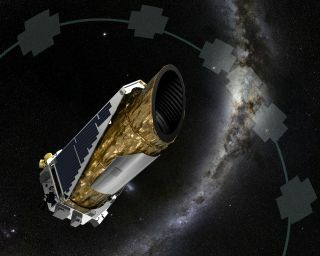 Crossfield said that Kepler observed more than 60,000 stars and found 7,000 transitlike signals during the first five 80-day observation campaigns. A validation process whittled some of these signals down to planet candidates, and then finally to validated planets, each of which has just a 1 percent chance of being a false positive, Crossfield added. He also noted that K2 found more false positives among larger planets than small ones. Editor's Note: This article has been updated to clarify where the false positives lie in K2's data. Email Sarah Lewin at slewin@space.com or follow her @SarahExplains. Follow us @Spacedotcom, Facebook and Google+. Originally published on Space.com.